Ever since we rolled out the first Mohawk carpets in 1878, we've built quality into every flooring product we make. We continue that tradition today with revolutionary product innovation, award-winning design, and a talented team dedicated to outstanding service. We're proud to assemble 100% of our carpet products in the United States—and proud to lead the industry as a trusted brand in flooring. We take this leadership role seriously: Mohawk invests heavily in environmentally responsible practices, from developing renewably sourced products to keeping our facilities and delivery systems streamlined and efficient. We're dedicated to running our business in the best way we can, and to making a positive impact in our communities. 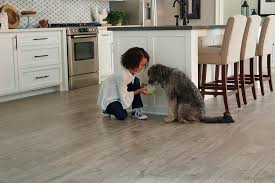 It's all part of our mission to create innovative products that make life better… and to bring you the best floor possible.